A simple summertime strawberry salad goes great with anything anytime of the year! It doesn't get any easier than this...just three ingredients! Make this salad the night before you plan to serve it for the ultimate summertime fruit salad. 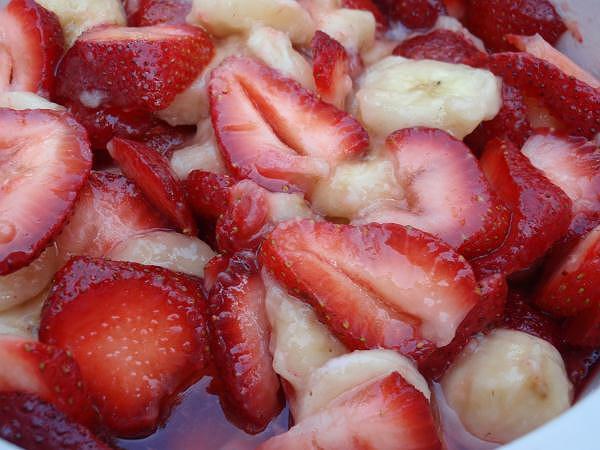 Combine the sugar, bananas and strawberries in a large bowl. Mix well. Refrigerate for at least 2 hours but overnight is better. This was one of my childhood favorites. It's great on a hot summer day! I hope you enjoy this great strawberry recipe!